Hospitals may find themselves directly in the line of fire as CMS ramps up its oversight of The Joint Commission (TJC) and other accrediting organizations (AO). 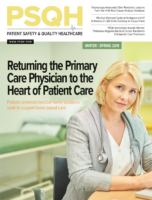 CMS wants to put a stronger spotlight on times when TJC and other AOs fail to find patient safety problems later discovered by CMS survey teams conducting performance checks referred to as validation surveys. To do so, CMS has created a website that lists hospitals it says have “recent substantial deficient practices” according to the AO each uses for deeming authority to bill Medicare. It then posts a copy of the CMS deficiency report that outlines the patient safety problems government surveyors found after the AO survey, and notes if the problems posed an immediate jeopardy to patients. A ruling of immediate jeopardy threatens the hospital’s ability to bill Medicare and, in many cases, to stay in operation. Although the website talks about the disparity rate of deficiencies found on validation surveys, the reports posted are not from the validation surveys, but from inspections done after someone has filed a complaint against that hospital, according to a CMS news release touting its tough new stance. Those inspections can happen at any time. And each of the AOs also can revisit hospitals in response to complaints. But the implication is that the AO missed critical patient safety problems later found by CMS. Accreditation consultants and other compliance experts note that CMS surveys can be done several weeks after an AO survey, and that deficiencies CMS finds may not have existed at the time of the initial survey. The validation surveys are done within 60 days of the AO visits, according to CMS. CMS officials have also complained that deficiencies they found were critical enough for surveyors to rule immediate jeopardy, yet the AO’s online list of accredited facilities still showed the hospital fully accredited. CMS says the creation of the website and other moves to intensify oversight of the AOs are part of an effort to making hospitals safer and the accreditation process more transparent. While the details of CMS deficiency reports on hospitals have been publicly available for a number of years, they were difficult to find on CMS’ website and were in a hard-to-read spreadsheet. The Association for Health Care Journalists worked with CMS to get the information in a searchable format that it now posts online at HospitalInspections.org. However, those reports were only of CMS surveys at hospitals where government surveyors from CMS State Survey Agencies (SSA) were investigating a complaint. It does not have reports on routine surveys or validation surveys, and did not offer the hospital’s response to findings. Those responses, called plans of correction, were available through public information requests from the SSAs. With the new website, the CMS deficiency reports are much easier to find and to read, note accreditation experts. Which means that hospitals should be prepared for the public relations ramifications. “Hospitals should be concerned because this data is easier to read than other formats CMS already had publicly posted,” says Kurt Patton, who served as TJC’s director of accreditation services before starting his own compliance consulting company, Patton Healthcare Consulting. “This is fast and easy to find the hospitals in any individual state,” he says. “Consumers might read it, and attorneys who have litigation planned or pending might read it. Hospitals should be prepared with a communications strategy for each state survey report at the same time as they are working on their Plan of Correction. It appears that as soon as the POC is accepted this may be posted.” Patton notes that some September data is already available on the site. Hospitals already face funding challenges to meet fire code requirements after CMS finally adopted the 2012 NFPA Life Safety Code®, and it will get even worse as survey scrutiny increases, predicts Ernest E. Allen, a former TJC surveyor and current consultant and patient safety executive with The Doctor’s Company in Columbus, Ohio. Having the survey findings on the Internet “could result in public relations issues for the facility,” says Allen. But compliance officers might be able to use that to their advantage. “That is the argument I would use when asking for more funding” to meet requirements, he added. “Additional staff and funds to replace any deficiencies as quickly as possible will be needed,” says Allen. In announcing the website, CMS also said it is changing how it will conduct validation surveys and will also post more information online about AO performance. Instead of waiting until after an AO finishes its survey to do a follow-up survey, CMS inspectors will now show up at the same time and watch as the AO surveyors work. CMS says the new process will be more effective. “Historically, CMS has measured the effectiveness of AOs by choosing a sample of facilities, performing state-conducted assessment surveys within 60 days following AO surveys, and comparing results of the state surveys with the AO surveys,” according to the CMS announcement. “In a pilot test, CMS will eliminate the second state-conducted validation survey and instead use direct observation during the original AO-run survey to evaluate AOs’ ability to assess compliance with CMS’s Conditions of Participation,” said CMS. CMS also released a link to the 2017 report to Congress on AO performance.